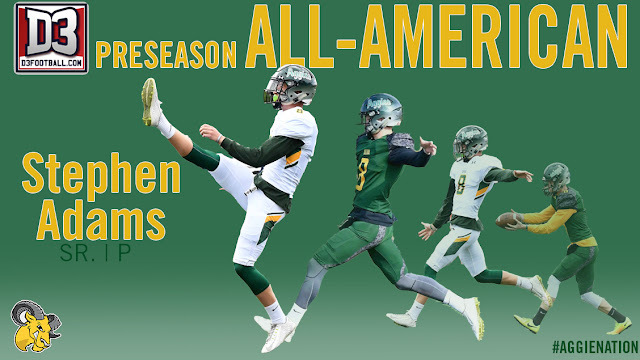 DOYLESTOWN (PA) – Delaware Valley University senior punter Stephen Adams (Bordentown, NJ/Nottingham) has been named a 2018 third team preseason All-Americans by D3football.com. Adams was an All-American honorable mention pick by the organization following the 2017 campaign as he finished 19th in Division III and second on the Aggies’ single-season list with an average of 40.5 yards per kick. 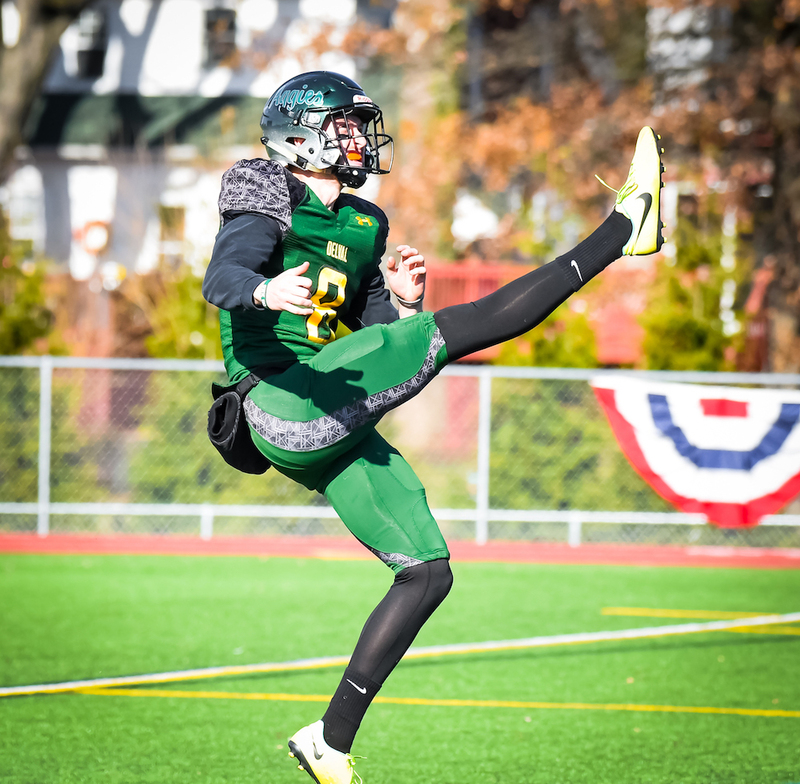 He placed 20 of his 58 boots inside the opponent’s 20-yard line and had six kicks of 50 or more yards (long of 62). Adams was also an all-Middle Atlantic Conference (MAC) and all-East Region first team pick last season as DelVal went a perfect 10-0 in the regular season and captured the MAC championship. The squad defeated Western New England and Husson in the first two rounds of the NCAA playoffs before suffering a last-second loss to Brockport in the quarterfinals. Adams and the Aggies are ranked 17th in the 2018 D3football.com preseason poll. They will travel to Dover, Delaware to take on No. 9 Wesley College for the season opener on Friday night, August 31 (7 p.m.).